Erik Kristensen was born on the Ides of March, March 15, 1972, at Portsmouth Naval Hospital in Portsmouth, Virginia. He entered the U.S. Naval Academy in June 1991, and was commissioned an Ensign in the U.S. Navy on May 31, 1995. After completing the Surface Warfare Officers School Division Officer Course at Newport, Rhode Island, LtJg Kristensen served as ordnance control officer, fire control officer, and main propulsion division officer aboard the guided-missile destroyer USS Chandler (DDG-996) from January 1996 to January 1998. His next assignment was as Officer in Charge of Rigid Inflatable Boat Detachment India with Special Boat Team 12 at NAB Coronado, California, from February 1998 to August 1999, followed by service as an instructor in the Department of English at the U.S. Naval Academy from August 1999 to August 2000. 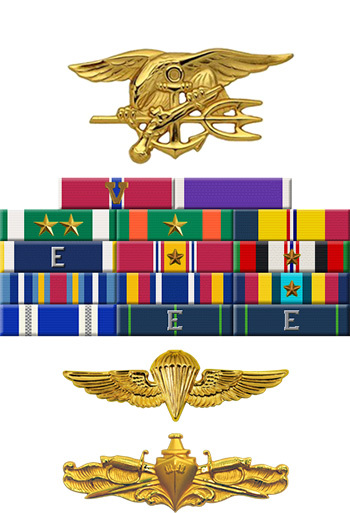 LT Kristensen next completed Basic Underwater Demolition/SEAL Training, Jump School, and SEAL Qualification Training before serving with SEAL Team EIGHT and then as Officer in Charge of Alpha Platoon with SEAL Team TEN at NAB Little Creek, Virginia, from April 2001 to March 2005. 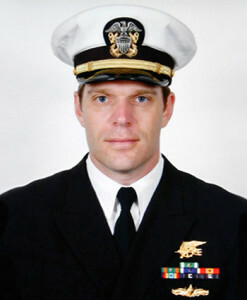 LCDR Kristensen’s final assignment was as Task Unit Commander of SEAL Team TEN deployed to Afghanistan from March 2005 until he was killed in action during Operation Red Wings when the MH-47 Chinook helicopter he was aboard was shot down by an enemy rocket-propelled grenade on June 28, 2005. He was buried at the United States Naval Academy Cemetery in Annapolis, Maryland. For heroic achievement in connection with combat operations against the enemy while serving as Task Unit Commander, SEAL Team TEN, while deployed to Afghanistan in support of Operation ENDURING FREEDOM on 28 June 2005. As part of a Quick Reaction Force, Lieutenant Commander Kristensen was sent to reinforce a Navy SEAL Special Reconnaissance element engaged in a fierce firefight against a numerically superior Anti-Coalition Militia near Asadabad, Konar Province, Afghanistan. The Special Reconnaissance element was under siege from enemy fire in extremely rugged and unforgiving terrain. Demonstrating exceptional resolve and fully comprehending the ramifications of the mission, Lieutenant Commander Kristensen’s element launched aboard a helicopter for direct insertion onto an active battlefield, ready to engage and destroy the enemy in order to protect the lives of their fellow SEALs. While airborne Lieutenant Commander Kristensen continued working with members of his team to develop the plan of attack to support both a Quick Reaction Force and an urgent evacuation of the intended deliberate assault. As the helicopter hovered in preparation for a daring fast-rope insertion of the SEALs, the aircraft was struck by an enemy rocket-propelled grenade fired by Anti-Coalition Militia. The resulting explosion and impact caused the tragic and untimely loss of life of all onboard. Lieutenant Commander Kristensen’s bravery and heroism in the face of severe danger while fighting the Global War on Terrorism was extraordinary. By his courageous actions, zealous initiative, and loyal dedication to duty, Lieutenant Commander Kristensen reflected great credit upon himself and upheld the highest traditions of the United States Naval Service.